Well it’s here. 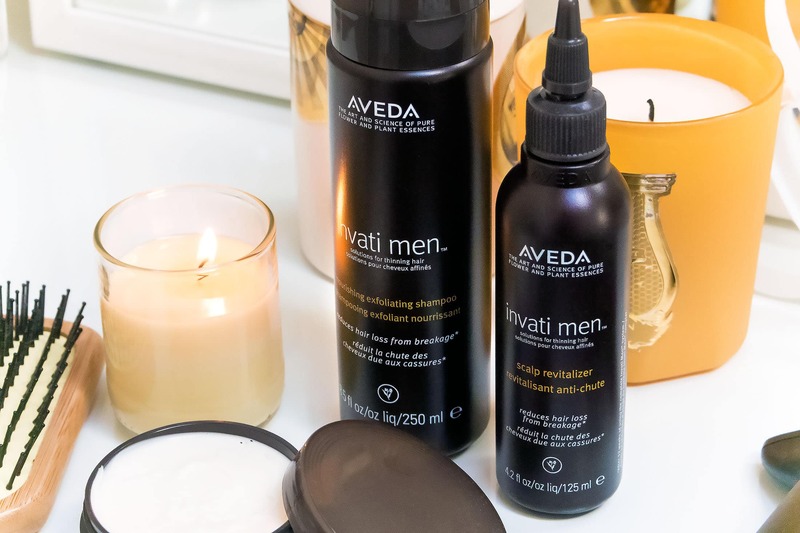 Launching today is the long awaited Aveda Invati Men; a hair loss and hair thinning treatment duo from Aveda created off the back of the wildly successful original Aveda Invati range. Available here from the Aveda UK shop. This is a fabulous 2-in-1 shampoo and contioner, with 98% naturally derived ingredients, provides all the cleansing, treatment and conditioning benefits without splitting into 2 products – genuinely. Invati Men shampoo uses the effective chemical exfoliant Salicylic Acid, here extracted from Wintergreen, to break down the bonds of dead skin cells that block hair follicles and strengthening the others. I’m very fussy and use conditioners all the time but this was honestly enough. 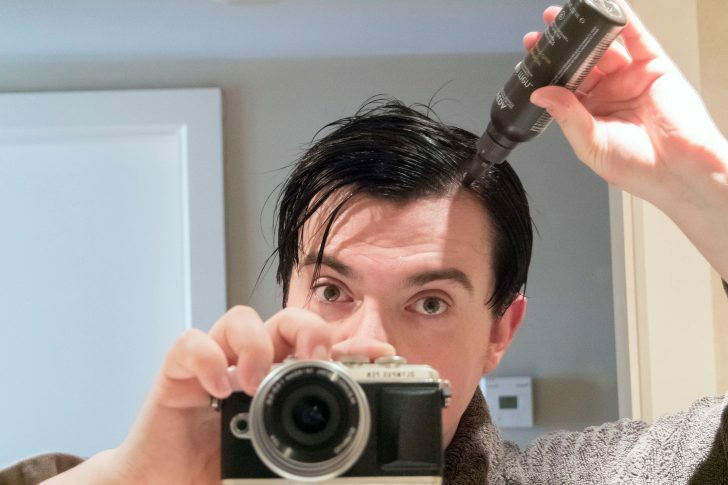 I used a conditioner once a week to deep condition/mask, particularly at the moment as I have colour/toning highlights – but I usually do this anyway. The Invati Men Scalp Revitalizer works as both an instant thickening product and a long term treatment. Amla extract (a member of the Gooseberry family) gives that instant thickness whilst salicylic acid and other potent plant derivatives give all-day treatment to increase hair growth, strength and thickness by treating the follicle. Aveda’s trials showed 4 out of 5 men saw thicker and stronger hair after 12 weeks! It’s pretty straight forward! Cleanse the hair with the Aveda Men Shampoo and leave it in for a few seconds before rinsing out. I swear by the Denman Shower Brush which is great for working/massaging products into the hair and scalp; it also stimulates blood flow which is vital for maintaining strong hair and a healthy scalp. Once you’re out the shower, you can begin using the treatment. 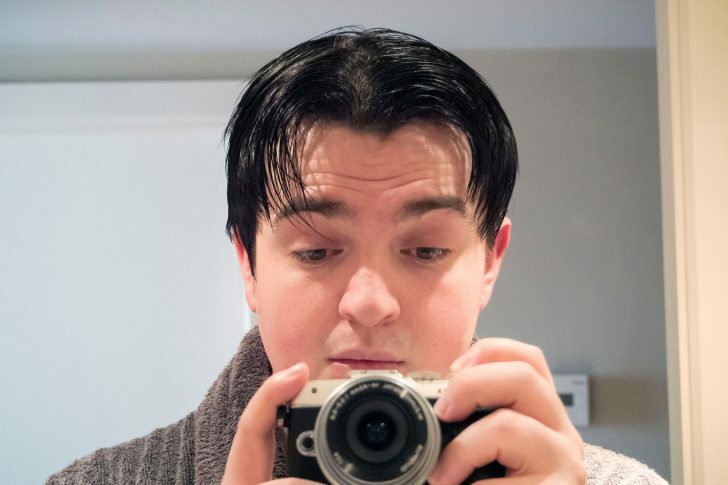 Firstly part your hair down the middle and serve up some 1999 Adam Rickitt realness. 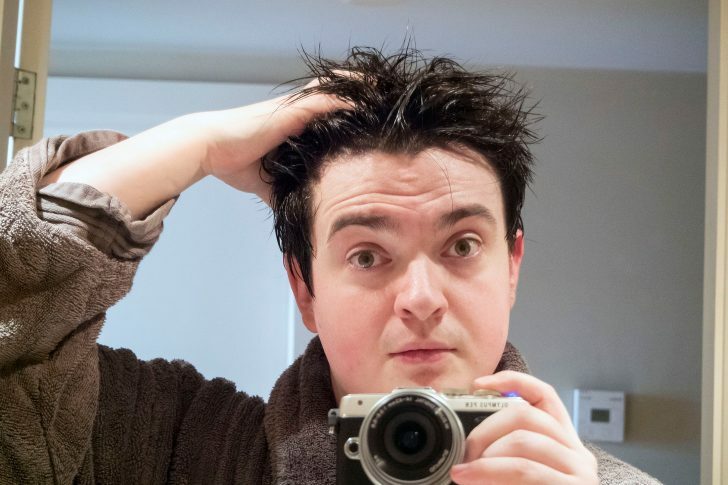 Honestly this isn’t my least favourite hair look… Use the treatment in damp/towel dried hair. Not squeezing too hard, as although it’s a gel it’s still a little runny, apply down the centre parting from front to back. From your left and right temple, part your hair again and repeat, going from front to back. 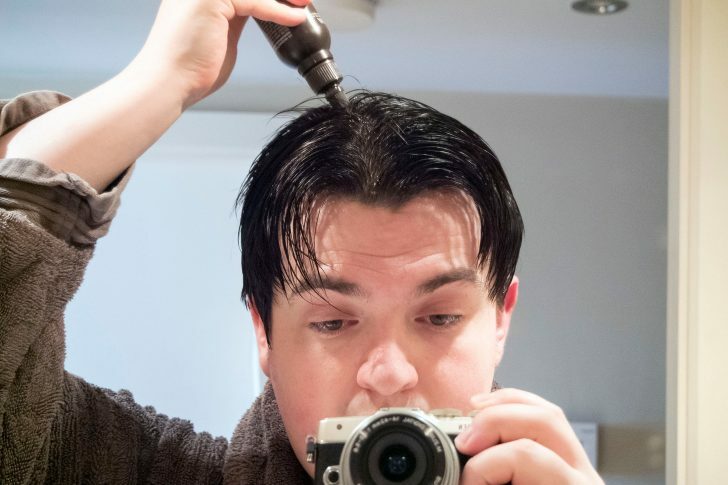 I have the tiniest amount of hair recession on my temple so make sure to apply it here. Just stick your hands in and massage into the scalp all over from front to back. This doesn’t have to take long. Be firm. You’ll notice how absolutely amazing it smells! When you blow-dry, you’ll really notice how incredible this smells. 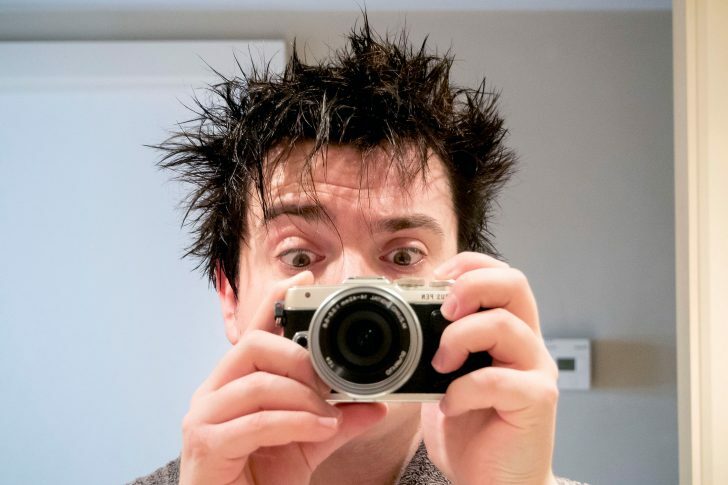 Just do what you’d normally do with your hair. The Invati Men has been designed to have absolutely no impact on styling whatsoever! My top tips are to use a paddle brush to dry your hair which immediately increases thickness as the hair is dried more evenly, giving lift. 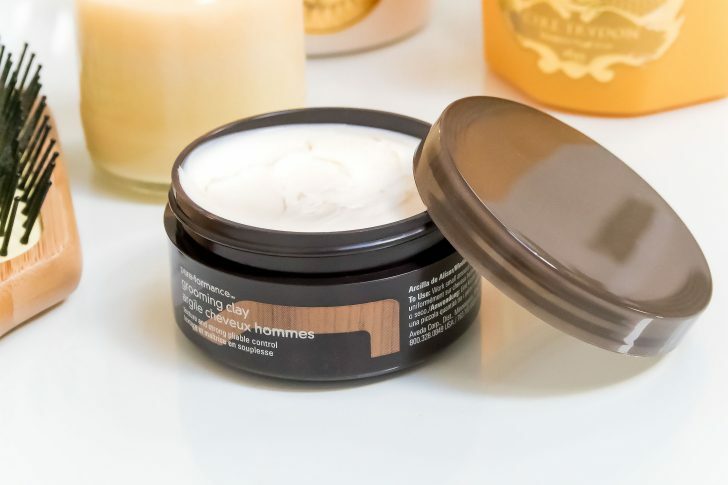 Style with a matte clay, here it’s Aveda Men Pure-Performance Grooming Clay, rather than anything gel/waxy as these products tend to clump hair together and show more of the scalp whereas clays give a matt, thicker finish. 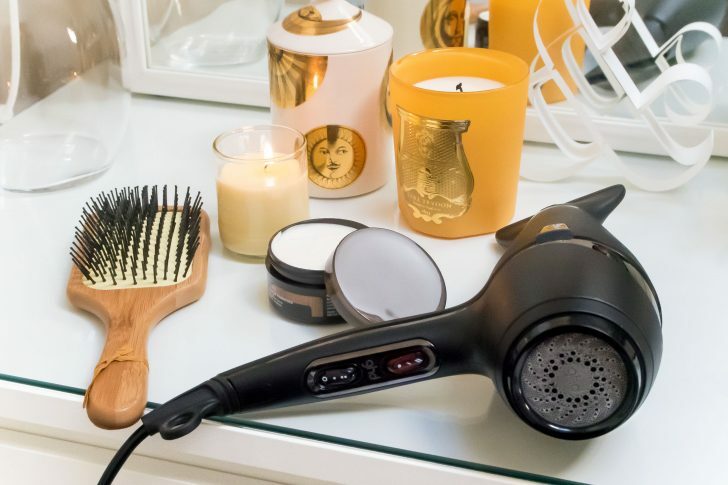 After you’ve applied your clay, blow-dry again into the shape you want and set with a little hair spray! 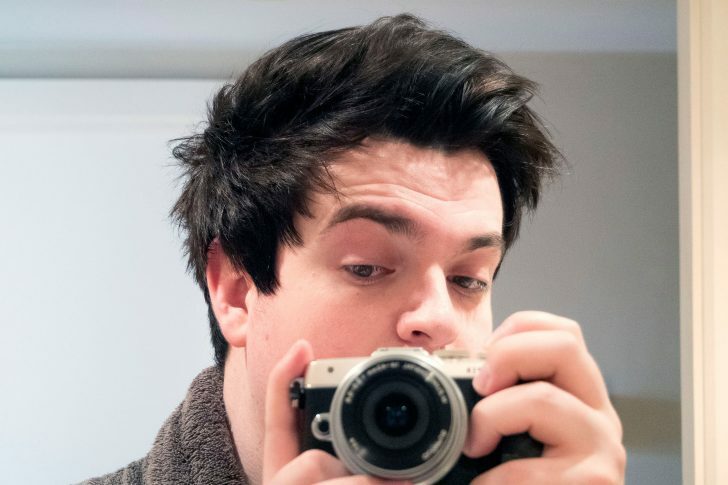 After a good few weeks I have definitely noticed an improvement in the thickness of my hair. I am lucky to have tonnes of hair, but it’s pretty fine, so very easily goes a bit limp and flat. I don’t know how to more accurately explain it other than my hair just looks energized, pumped and fuller. I am definitely noticing less breakages too and have had less stray hairs in my brush and shower basin. Tah-dah! So this is the finished result. I’ve added texture by layering Pure-Performance Clay between blow drying. Will Aveda Invai Men restore lost hair? There is no treatment to bring back hair that has already gone. Once the follicle has shut off, that’s it; nothing other than a hair transplant procedure will bring it back. However, if your hair is thinning or looking a bit touch-and-go, this will help to maintain and strengthen what you’ve got. Genetics are difficult to override and sometimes, I’m afraid to say, male pattern baldness is inevitable for some, but Invati Men is one of the best options out there for maintaining scalp health and hair thickness which will help! 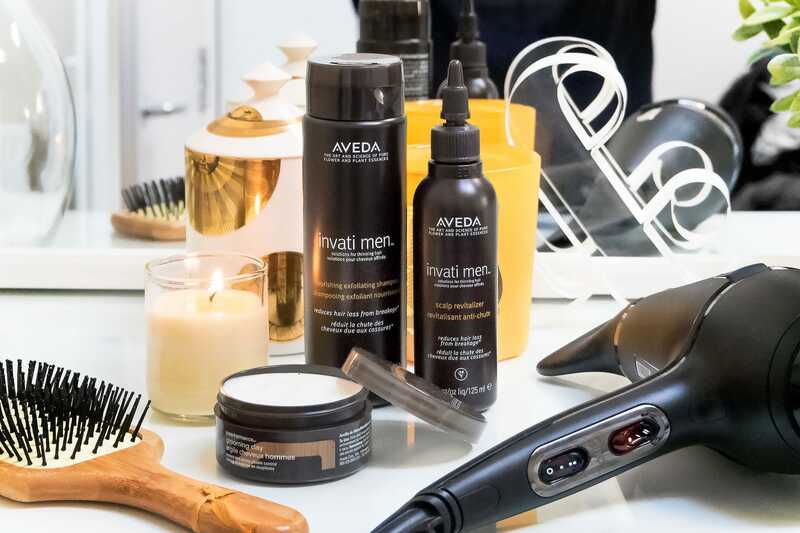 The Aveda Invati Men collection is available here now from the Aveda UK shop. This article first appeared on MANFACE written by Thom Watson. It was published on Thursday 28th April 2016 and was last updated on Monday 3rd April 2017 at 1:02pm. It's categorised under Aveda, Conditioner, Hair, Shampoo, Styling, Treatment where you'll find more related content. Currently I’m using Invati exfoliating shampoo (not invati men) and Invati Men Scalp Revitalizer together. Do you think combining the products from different Invati series will cause any problem? Have one more question. I purchased invati thickening conditioner (not invati men) as well, but didn’t use that much. Have you used the conditioner in the past years and do you suggest using it? I guess I have to apply it right after shampooing in the shower, am I right? Thom, can you tell them to make a new styling product for men? I love their shampoos and conditioners, but none of their stylers are right for me. My hair is fine, but I like some hold and a matte finish. Their clay is too dry and just makes my hair look like loose straw. Their grooming creme doesn’t have much hold at all. I would like a paste that’s matte, but maybe not a “clay”. Thanks! How long is your hair as if it’s nornal/slightly longer I have some blooming good tips for you. I actually just bought the travel size to try it out. I honestly haven’t had much luck with Aveda products in the past. The men’s line made my hair to fluffy and the Dry Remedy line made my hair (ironically) even drier. I bought the invati men a few days ago and I found it left my fine hair even more limp. I don’t know if I’m using too much or too little. How much of the shampoo do you use in the shower? I wouldn’t use too much but I do find particularly when removing styling product or if you’ve been at the gym say, it might need two washes.